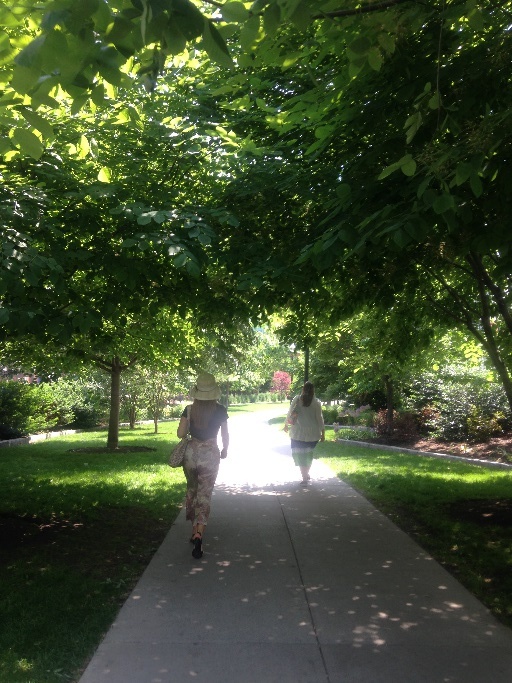 Stretching from Chinatown to the North End, the 1.5 mile Greenway is one of the few organically maintained parks in the nation. 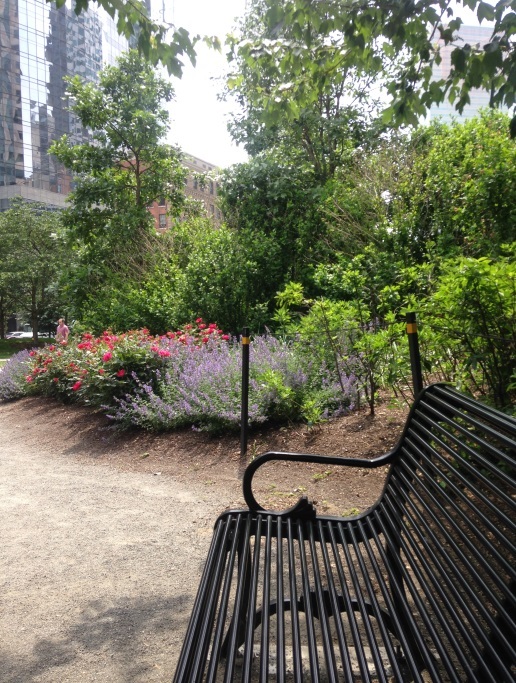 That means that no toxic chemicals are used to maintain our plants, so it is safe for anyone to roll around and enjoy Mother Nature. 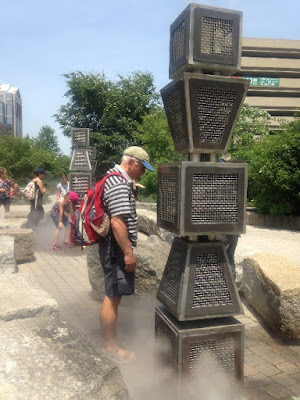 There are some parts of the Greenway that are quiet and peaceful for those who like to relax after a long day of work, and there are other parts that gather large crowds especially during lunchbreak in Dewey Square where young business professionals line up to eat at one of the Mobile Eats Food Trucks. 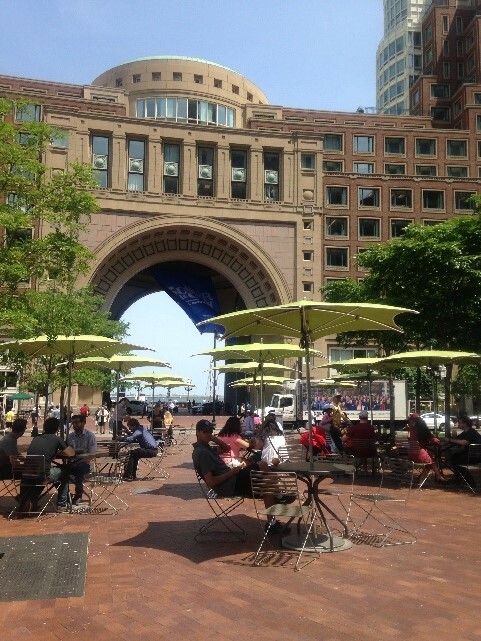 Boston started off as a very commercialized city, with businesses and financial districts consuming the city. 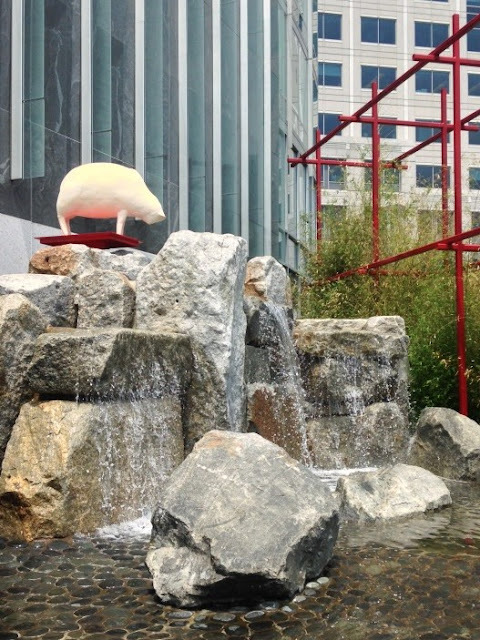 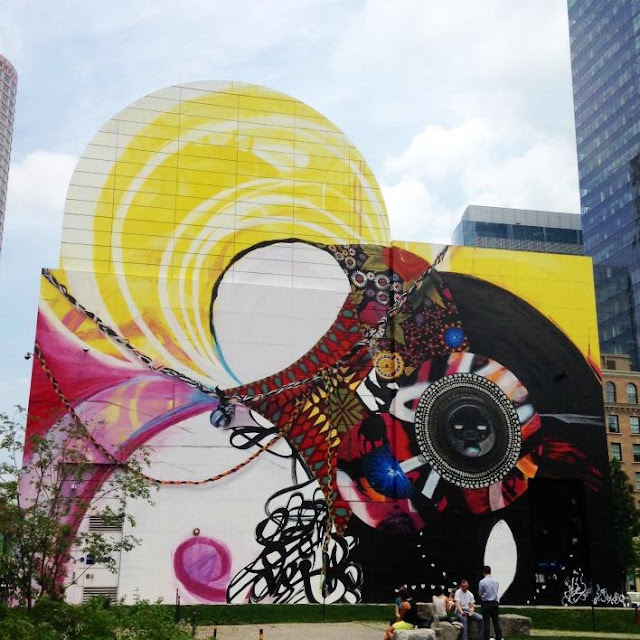 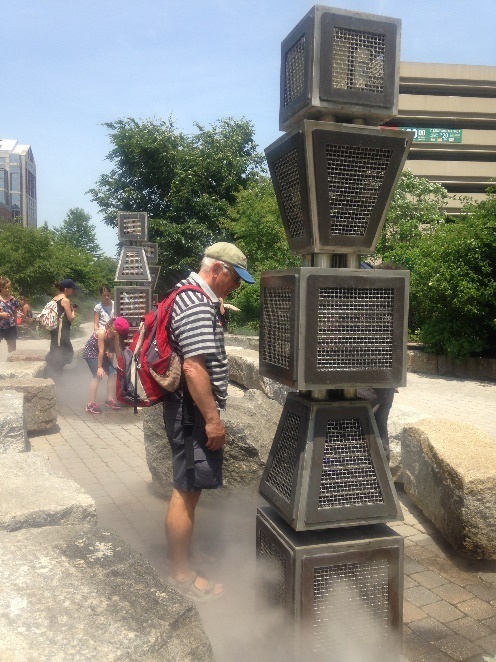 Just recently, public art and expression has made its way into the Greater Boston area. 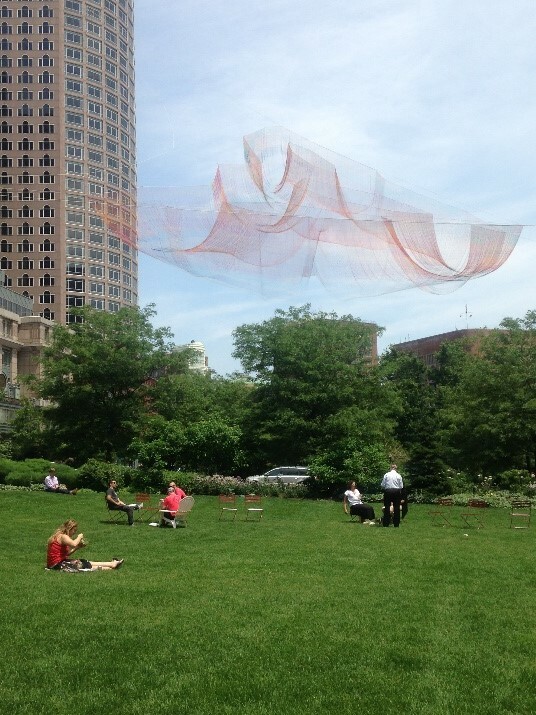 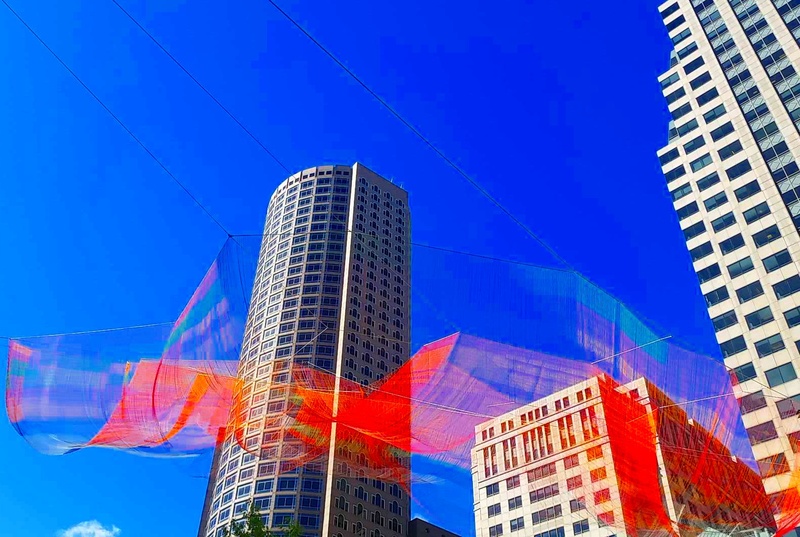 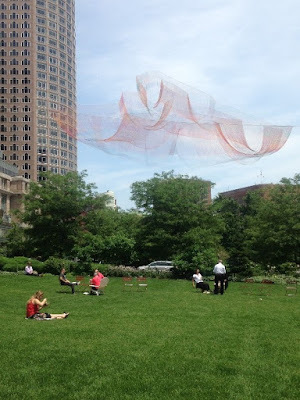 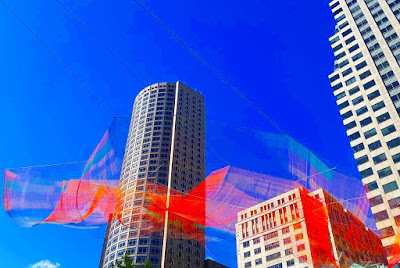 Some beautiful artworks that can be seen throughout the Greenway are the massive mural facing Dewey Square Park, the famous in-the-air sculpture by Janet Echelman titled “As If It Were Already Here,” the newly placed paper sheep in the Chinatown Park and many more. 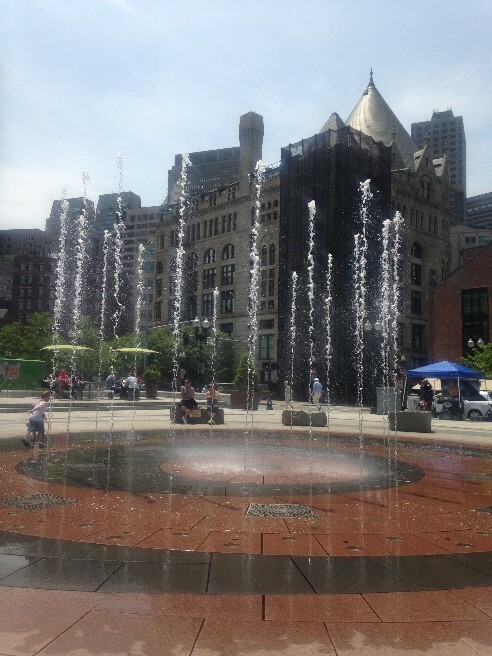 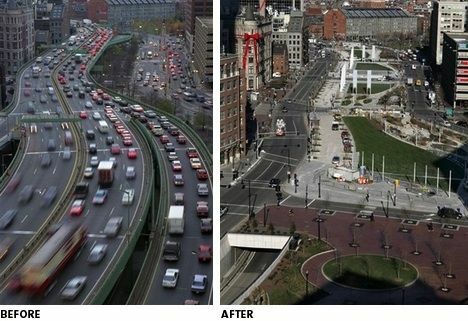 The Rose Kennedy Greenway is the place to visit in Boston, and to top everything off, it’s free! There is always something for everyone at the park whether it’s a food truck, a fountain, a public art display, or even a simple bench. 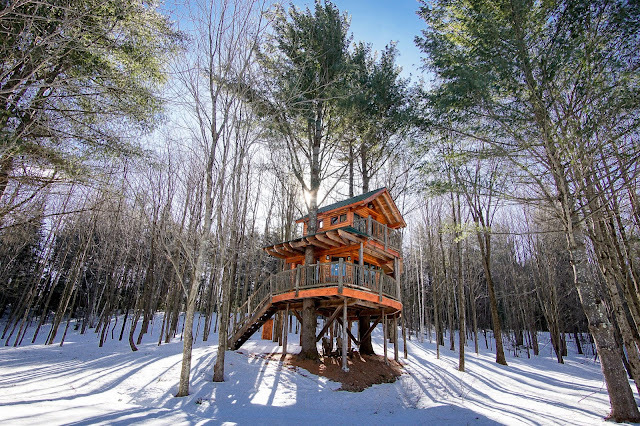 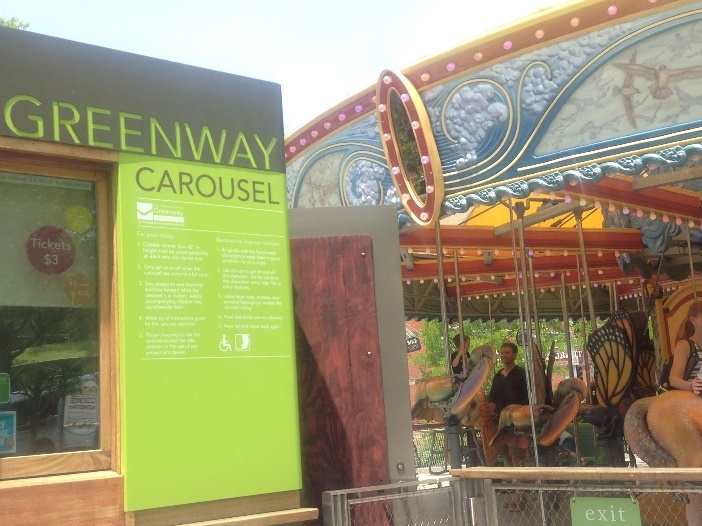 The Greenway has a lot to offer, so put this on your list of to-gos next time you’re in Boston!